Eleanor has a new baby brother, Reuben. She is eager to play with him, however is told, ‘The baby is too busy sleeping’. Patient at first, Eleanor waits and waits for Reuben to wake, passing the time playing with her grandparents and with her toys. Eleanor’s frustration grows as it dawns on her that little Reuben doesn’t do much aside from eat and sleep. Her fluctuating emotions are wonderfully depicted in a spread where she sits, flushed and cross-armed in an empty bathtub, and realises Reuben might not be the playmate she was hoping for. 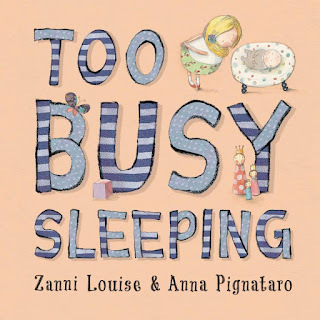 There is a whimsical, old-fashioned quality evident in Pignataro’s illustrations – not only in their style but through the types of play depicted. Eleanor builds with blocks, makes a sandcastle in the backyard, holds picnic-style tea parties and has a tyre swing. There are floral and gingham patterns used throughout, including the endpapers, which add to the timeless feel. The tale takes a heart-warming turn as Reuben remains awake just as Eleanor asks her Mum for some one-on-one story time. Rather than complain, she takes the opportunity to finally play with Reuben. The last charming page reveals that Reuben’s not the only sleepy one. 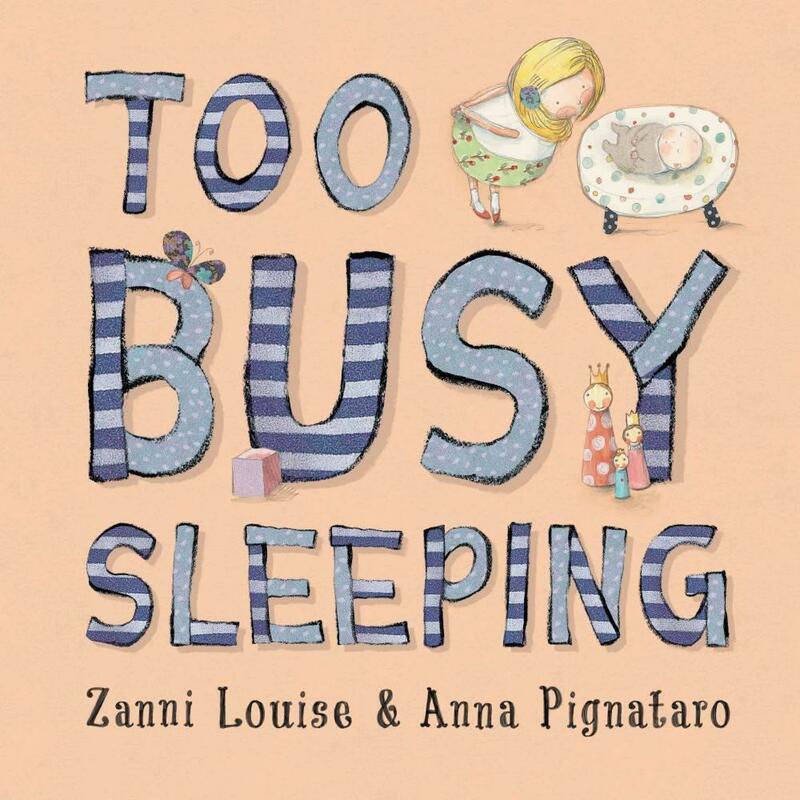 Two to five year olds will find much to love in debut author Zanni Louise’s sweet story of adjusting to a new baby, containing themes of change and acceptance.